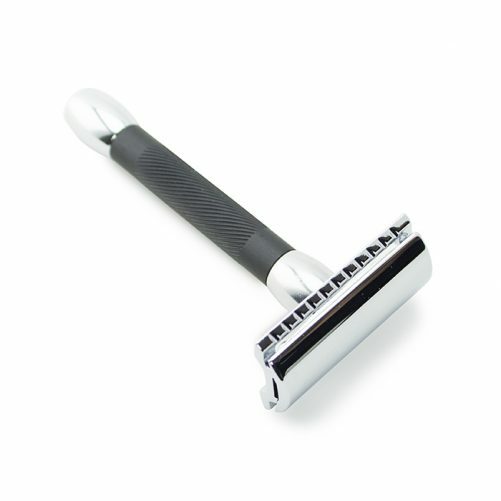 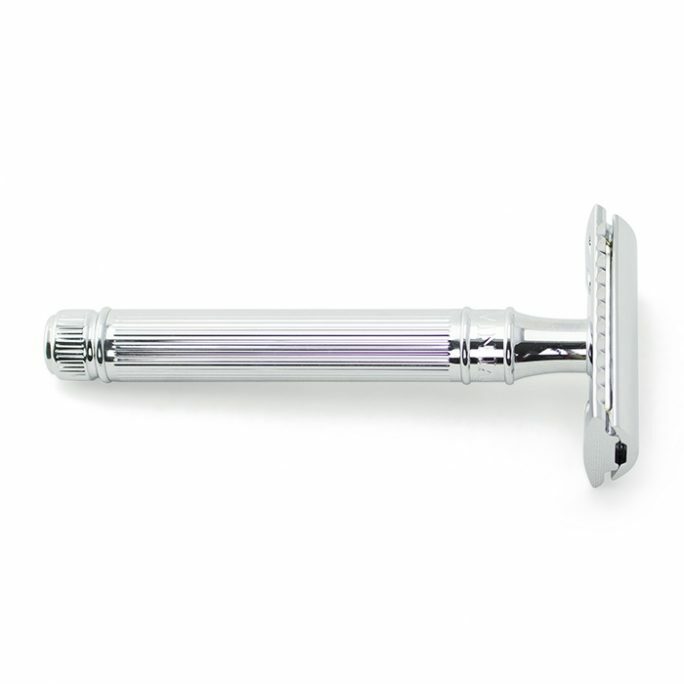 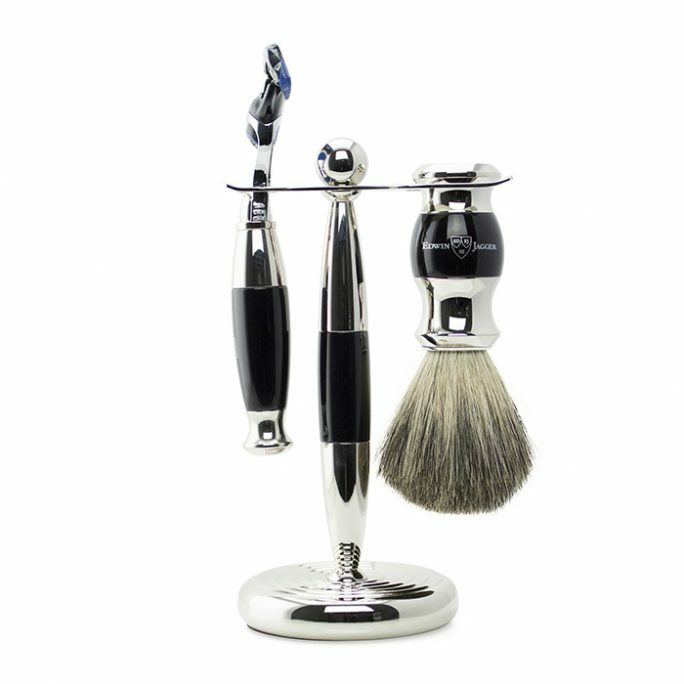 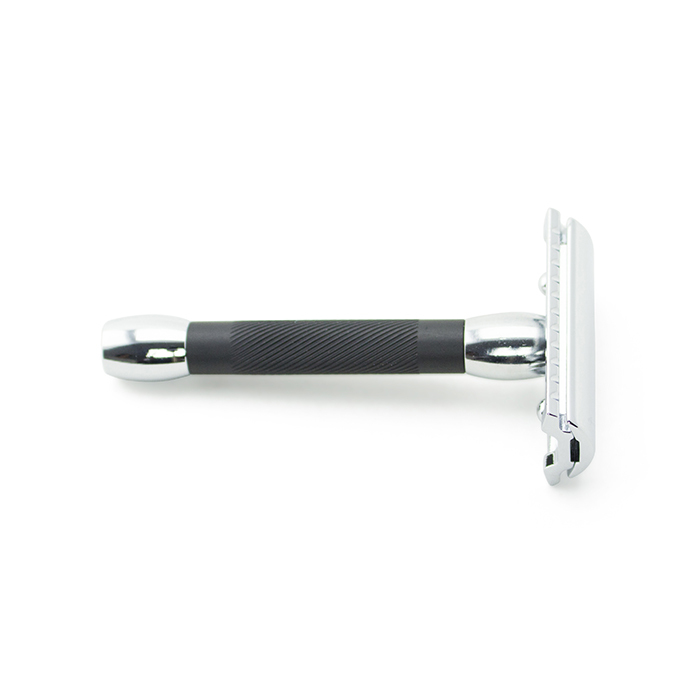 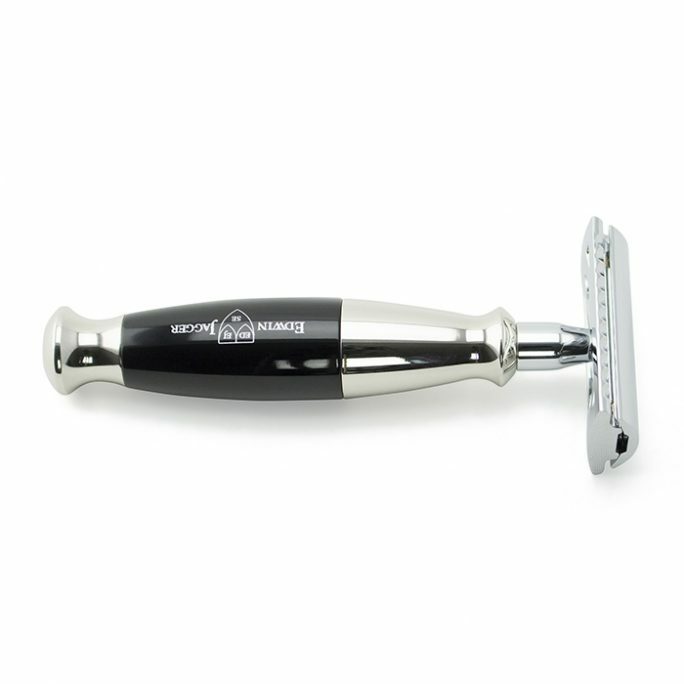 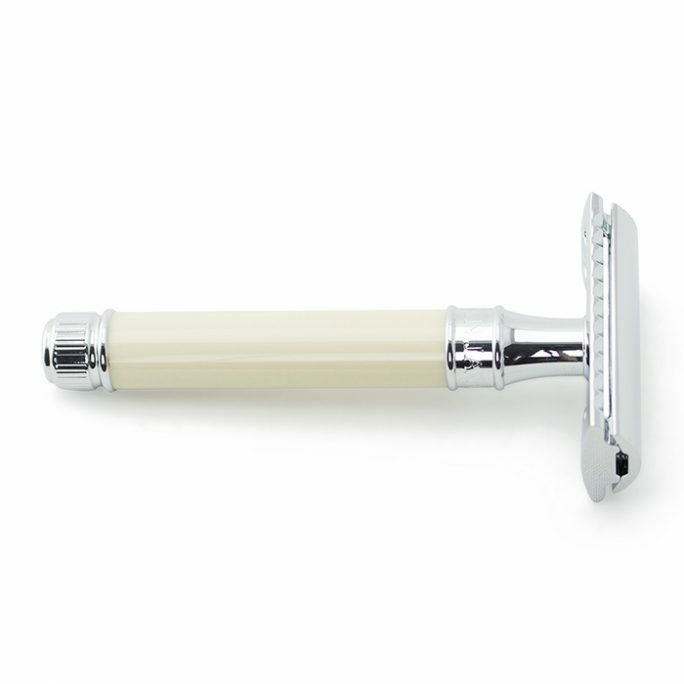 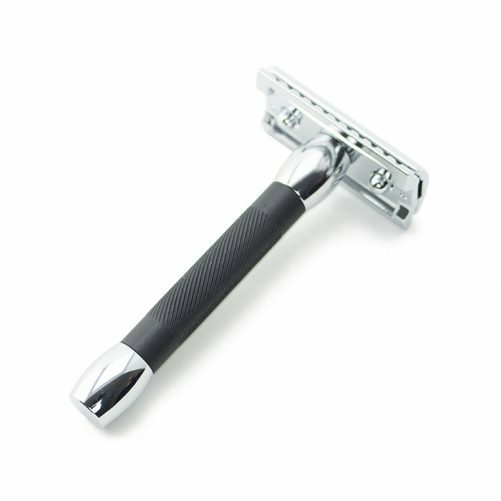 The Merkur Chrome & Black Safety Razor comes with a structured handle and is perfect for grip when wet shaving with this safety razor. 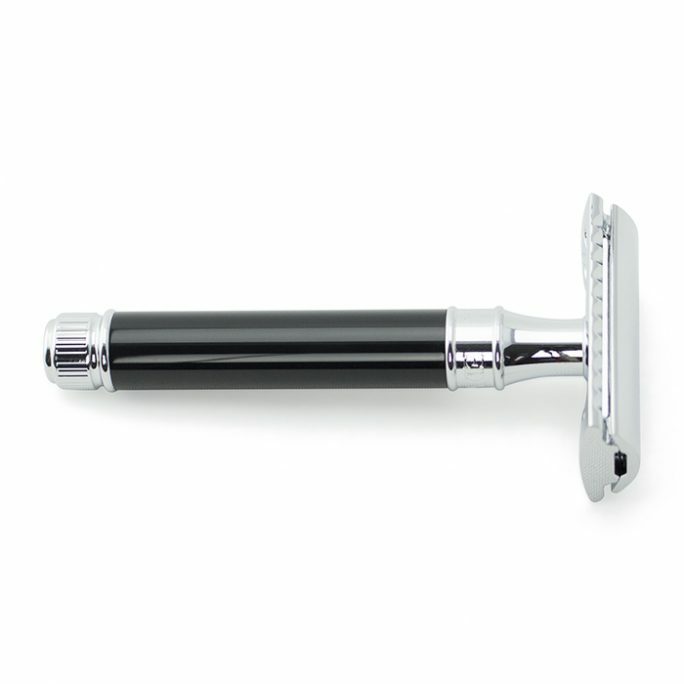 You will immediately notice the soft rubber like handle with the lined finish that is enhanced with chrome plating. 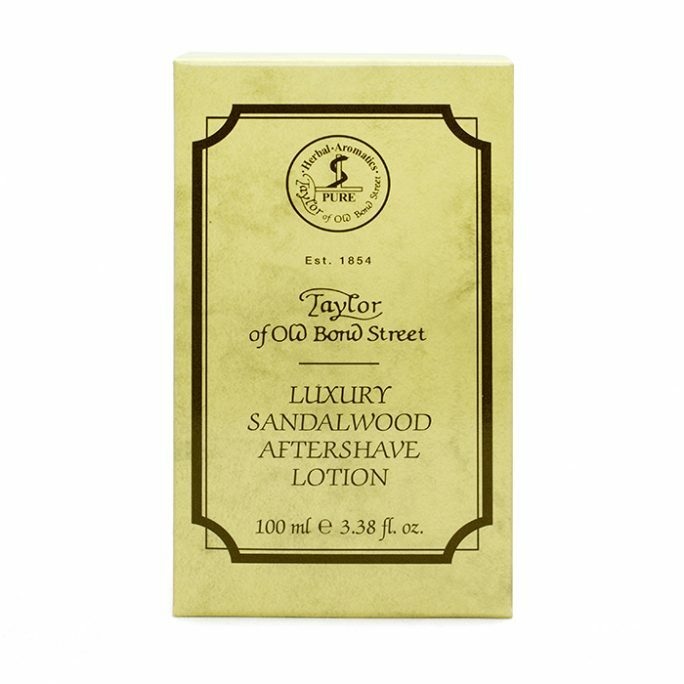 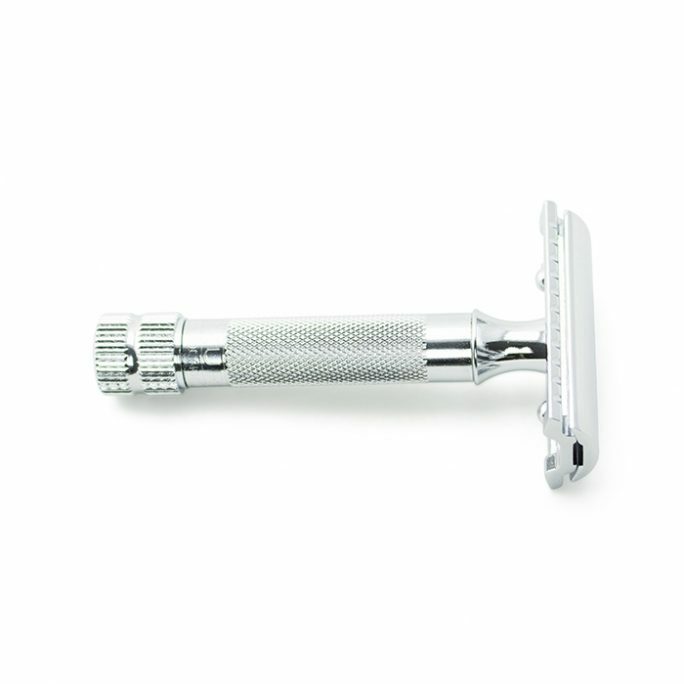 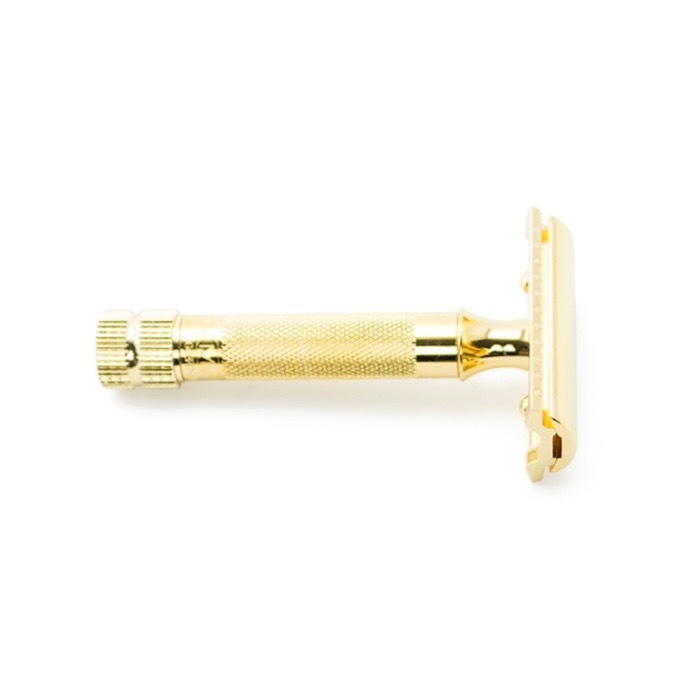 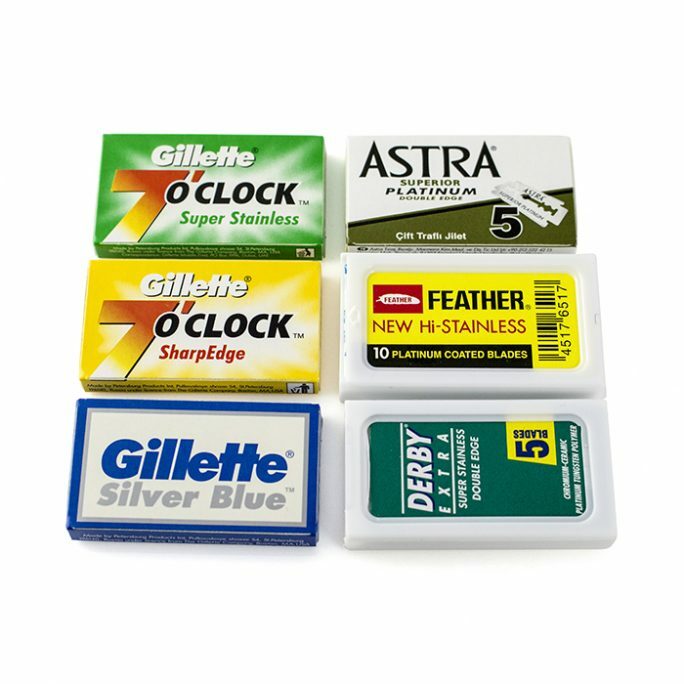 This shorter handle safety razor is perfect for those who don’t want a longer handle safety razor.